First trip to Lazarus in the early morning at 5 am. It was total darkness. The team split up into 2. Ivan and Kok Sheng went off to explore a 1km long artifical lagoon while the rest of the team headed out to the rocky shore on Lazarus side. 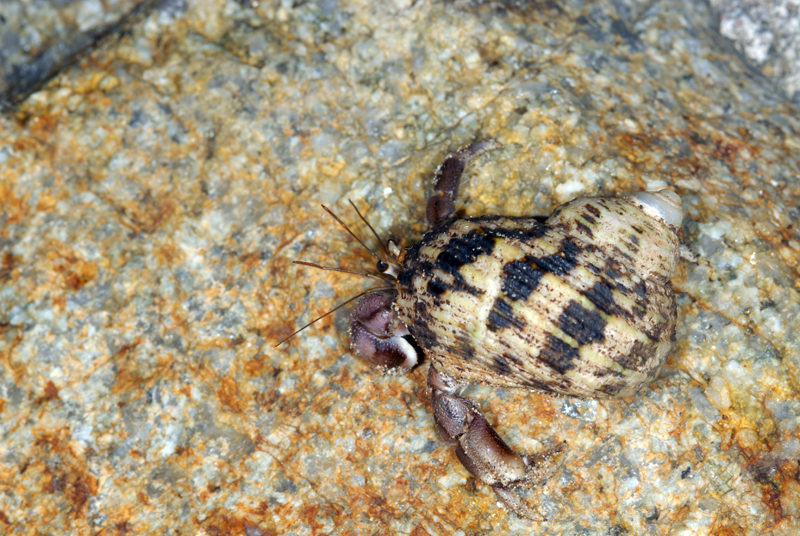 While crawling and/or sliding down the rock wall, we were greeted by the land hermit crabs. This rocky shore is really rocky. We had free foot reflexology from nature. 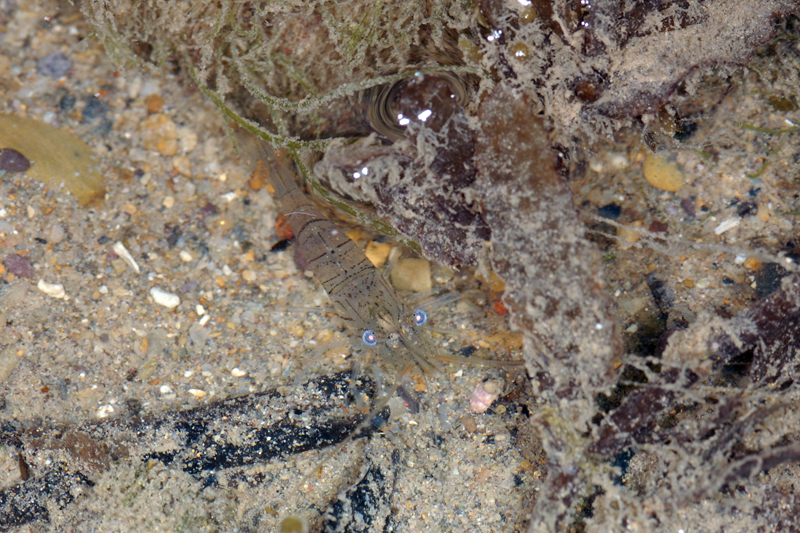 In the numerous shallow pools I saw near the low water mark, there were shrimps and gobies. 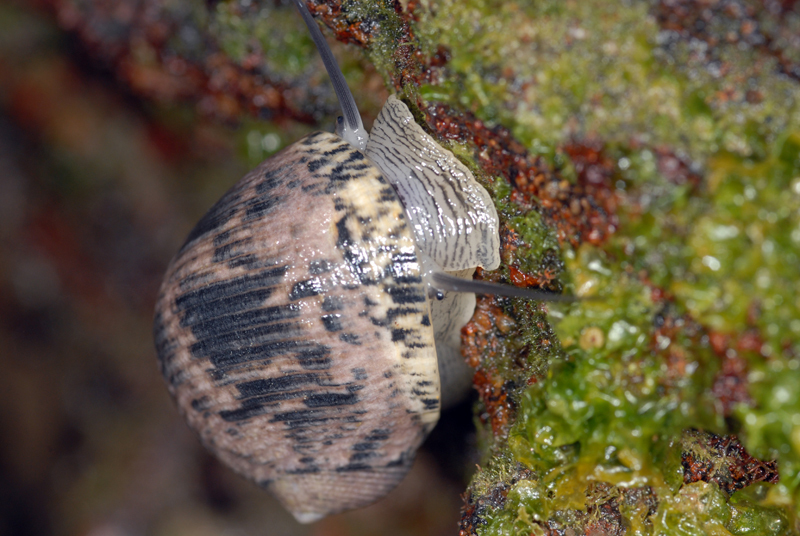 My first slug finding would be this onch slug (Family Onchidiidae). 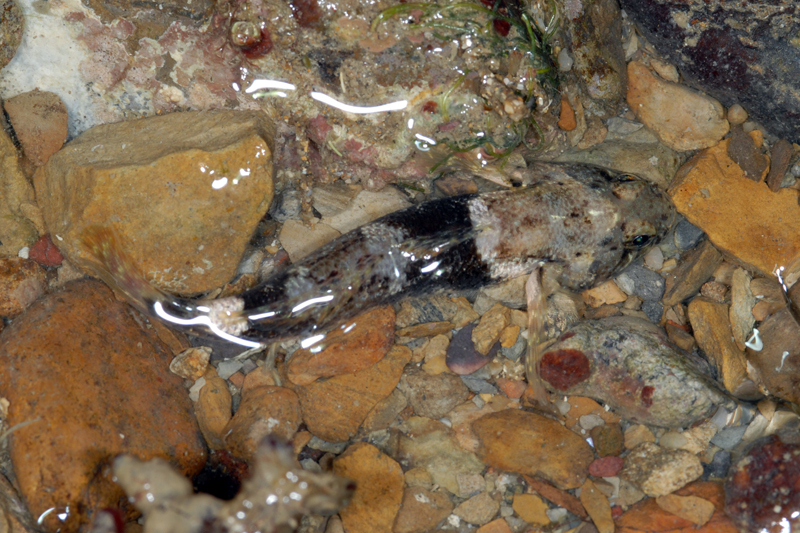 In fact, the onch slugs can be commonly seen on this shore. 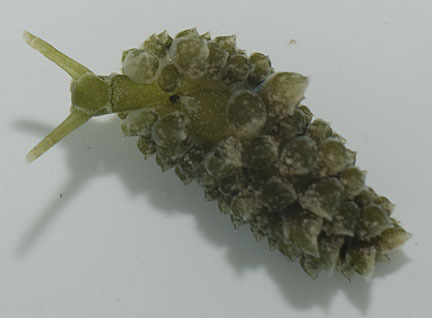 This is my first time seeing the eyes of the onch slug from my photo. I did not turn over the onch slugs I saw to check for identification. 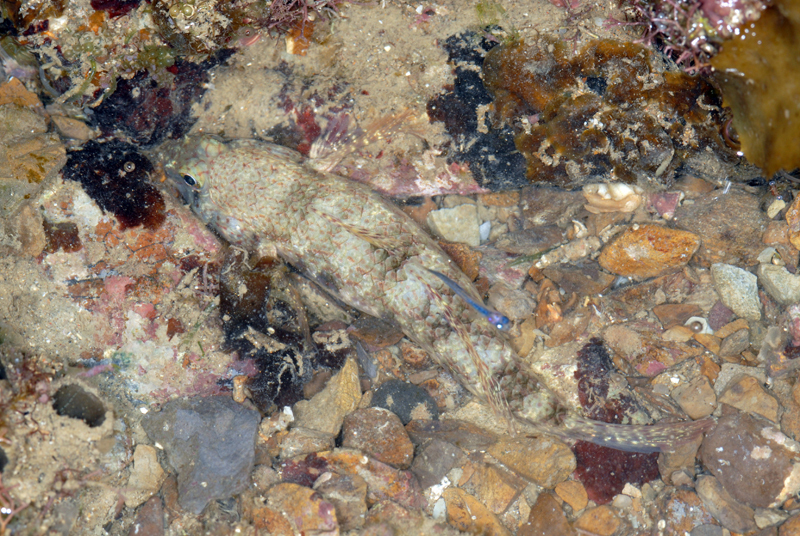 Thanks to this onch slug, I saw an arrow-head spider crab (Menatheius sp.). It was really tiny. 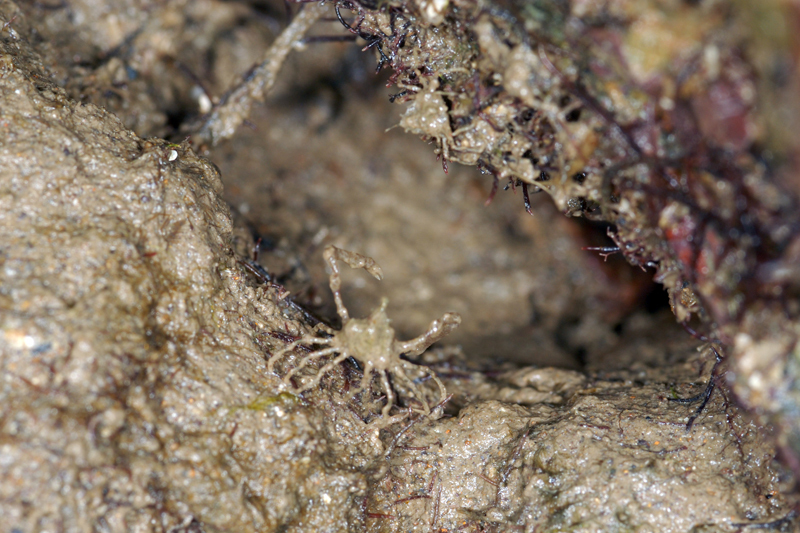 Actually there was two and I only saw the other when I collected the first spider crab. 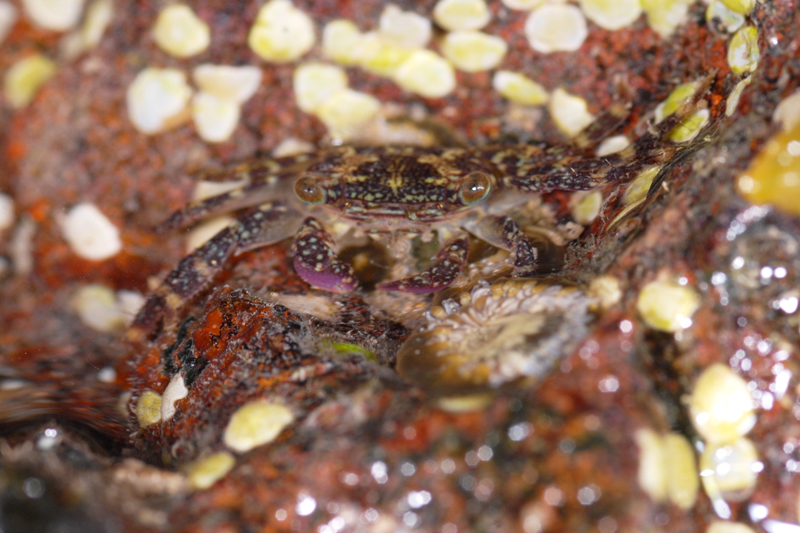 I also confirmed that there were two spider crabs at the same location when I edited my photos. See if you can spot the two crabs. 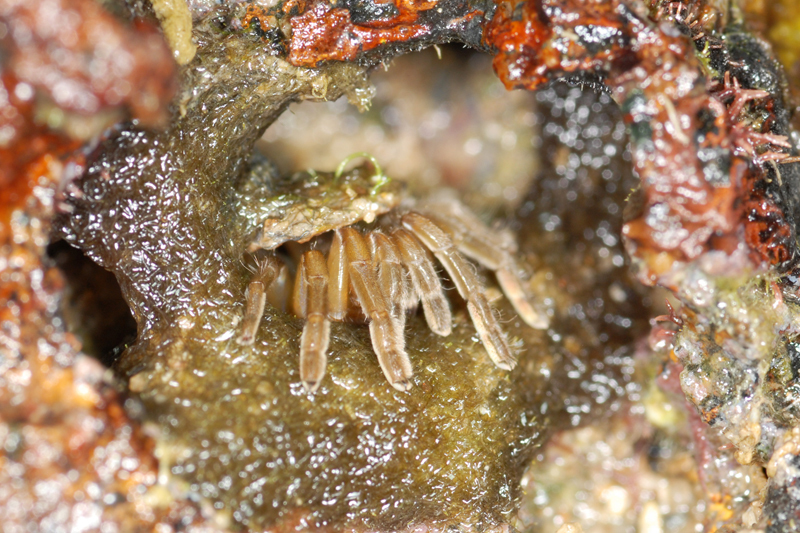 Also plenty on the shore are sea slaters (Ligia sp.). 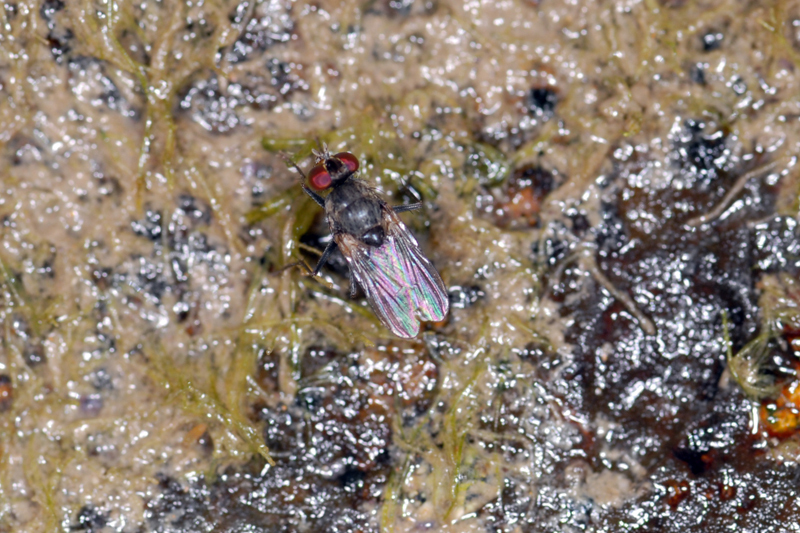 While taking pictures of the sea slaters, a fly stopped by to clean itself. What a place to clean. 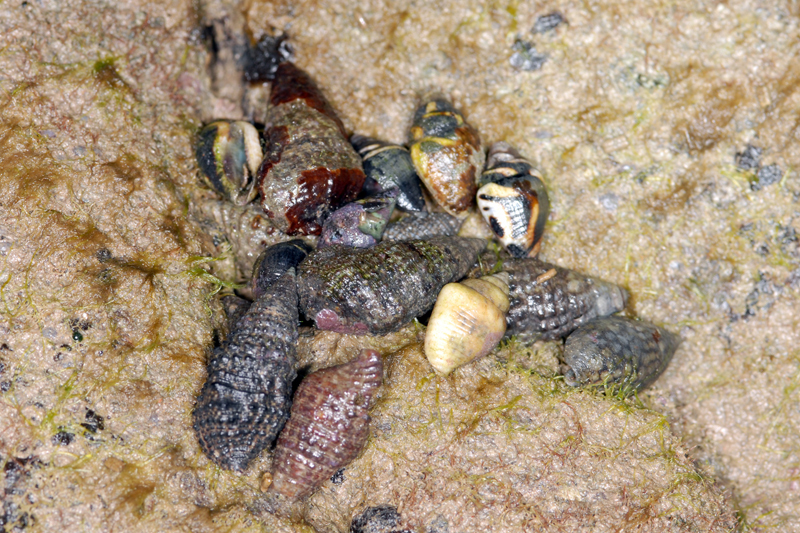 There were many types of snails seem on the shore. 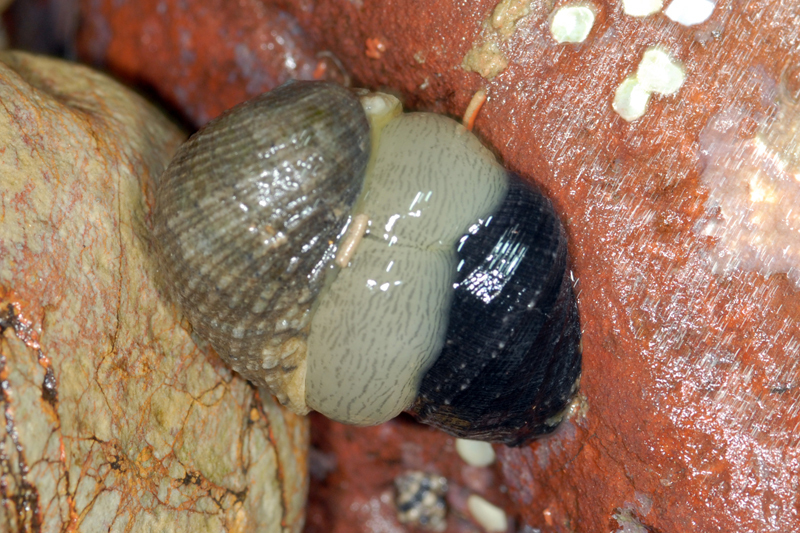 However I only took pictures of the nerite snails (Family Neritidae). We also saw congregations of different snails at various spots. Not sure what they are doing. Andy found a boulder with many pools of trapped sea water. These pools contain many life when we took a closer look at each of them. Many of the pools were covered with little white dots. 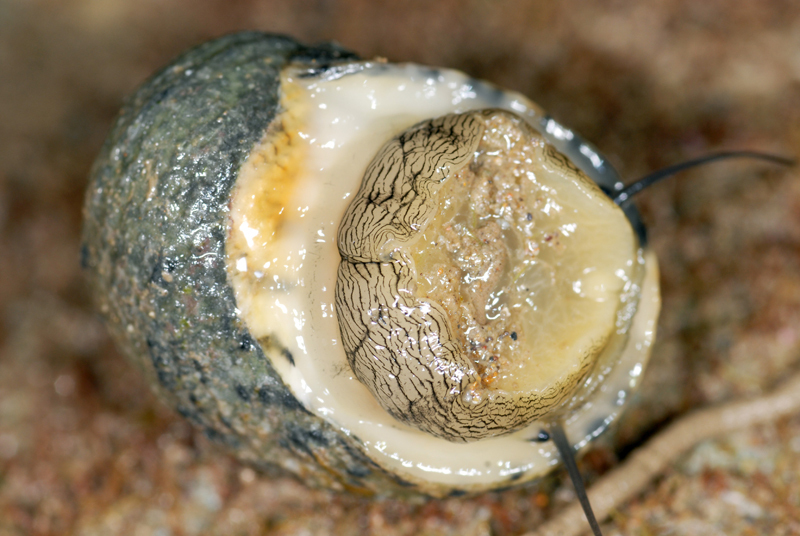 They are eggs of the nerite snails. 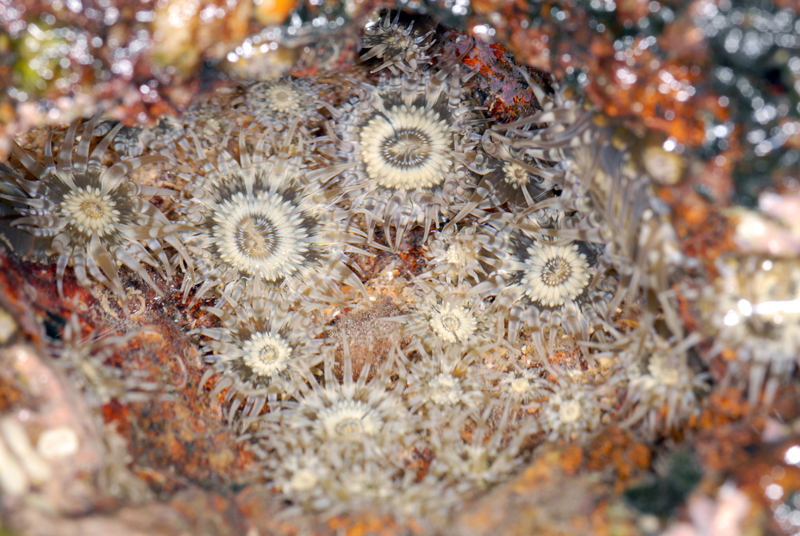 We also found many tiny anemones in these little pools. 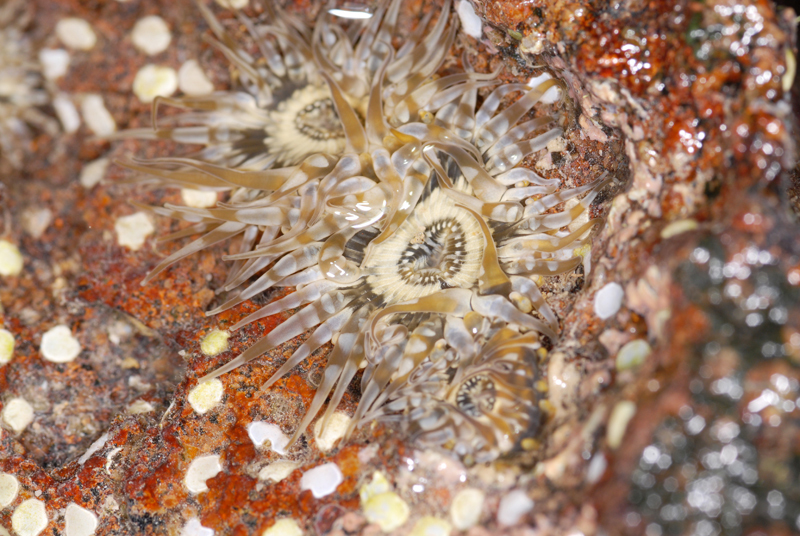 Anemone with nerite snail eggs. Tiny purple climber crab feeding in one of the pools. 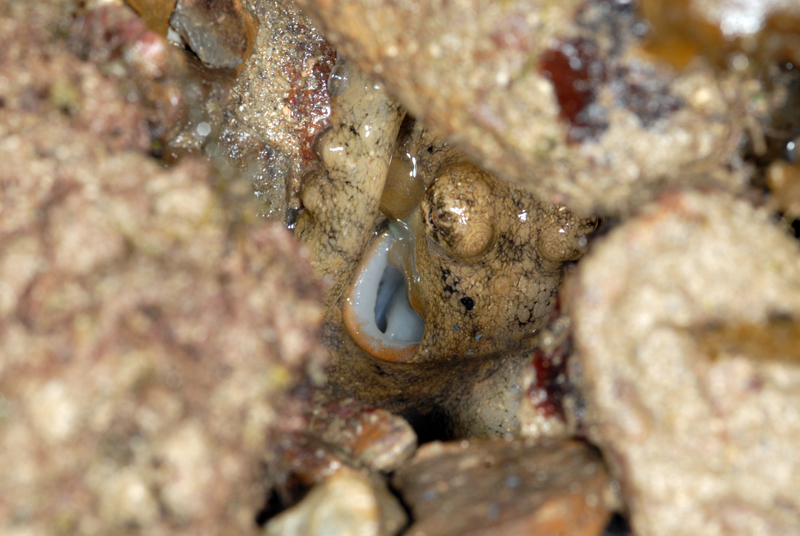 Some crevices on boulders provided a hiding place for the marine spiders (Desis martensi). I observed that they have a cover above them, which closes when the spider retracts. You can roughly guess the entrance structure from this image. Octopus never failed to miss my eyes. I see them on almost all shore trips. In today's trip, I saw two octopus. The first octopus was of a medium-large size while the second octopus was of medium size. 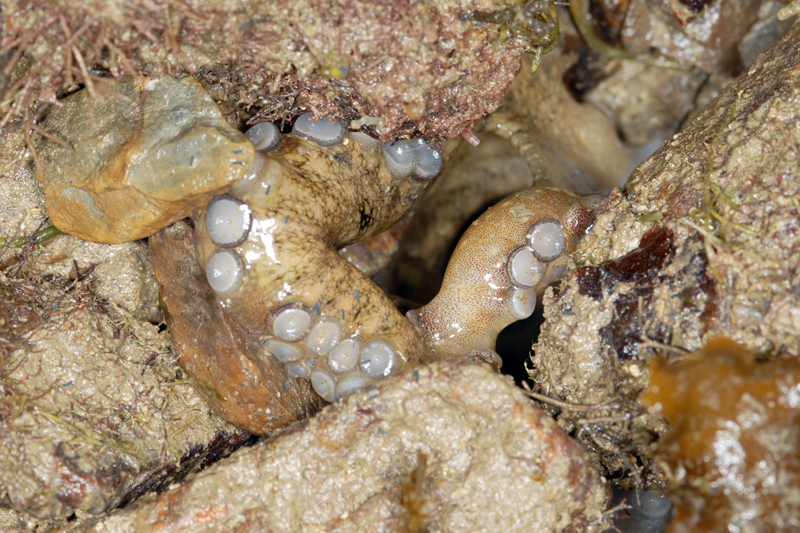 I only managed to take pictures of the first octopus (will explain why later). Fat tentacles of the octopus. I thought it was stranded. 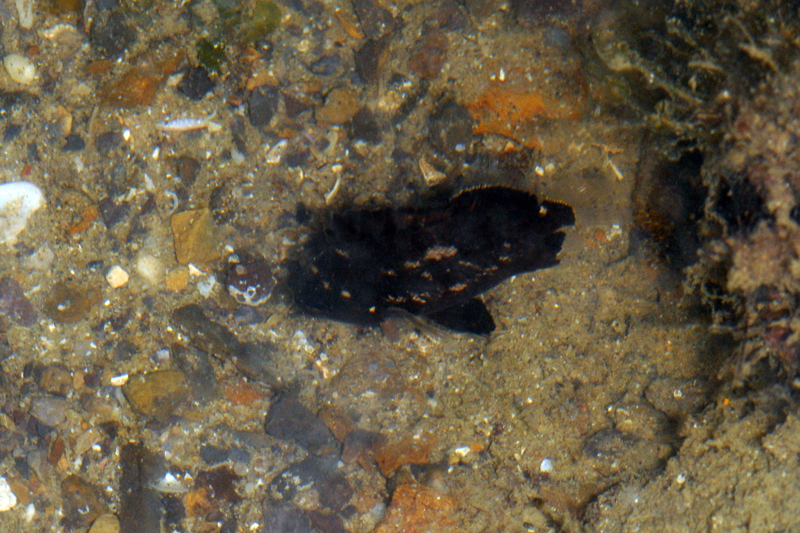 I saw a few fish, some of which I could not identify. There were a lot of tropical silverside (Atherinomorus duodecimalis) swimming on the water surface and it gave a electric blue reflection when our torchlights shine on them. It was not easy to take pictures of them as they are constantly darting around, but I happened to capture one of them. Rather large fish. A tropical silverside nearing the tail of the fish. 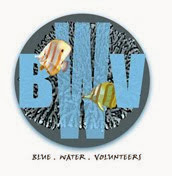 This fish seems confortable on very shallow water with constant waves flowing in and out. Around this point onwards, my two little Nikon SB-R200 speedlights decided to go on early Hari Raya holiday as the batteries were low in energy. Time for me to keep my camera set and focus on looking at things. No flash means no light to shoot the subject in darkness. My torchlight does not provide enough light to light up the animal properly. The highlight of today's trip would be two special findings. 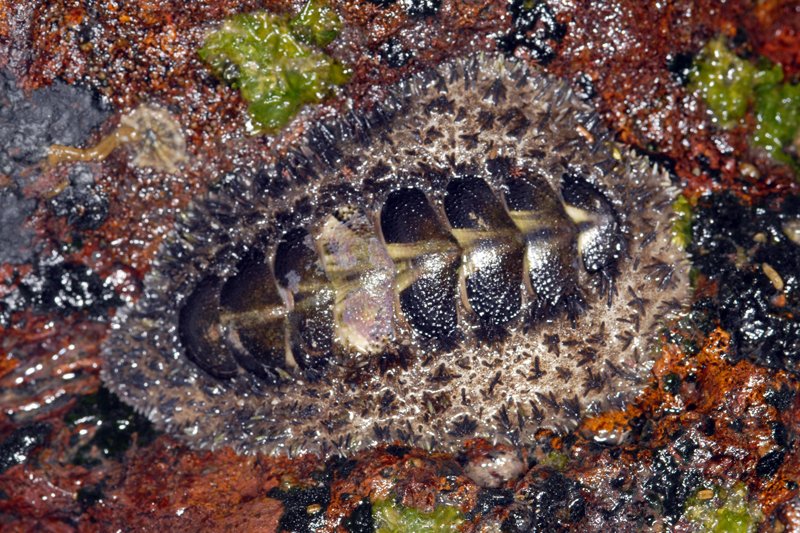 A large chiton (Class Polyplacophora). This is my first time seeing a chiton and it has to be so large. 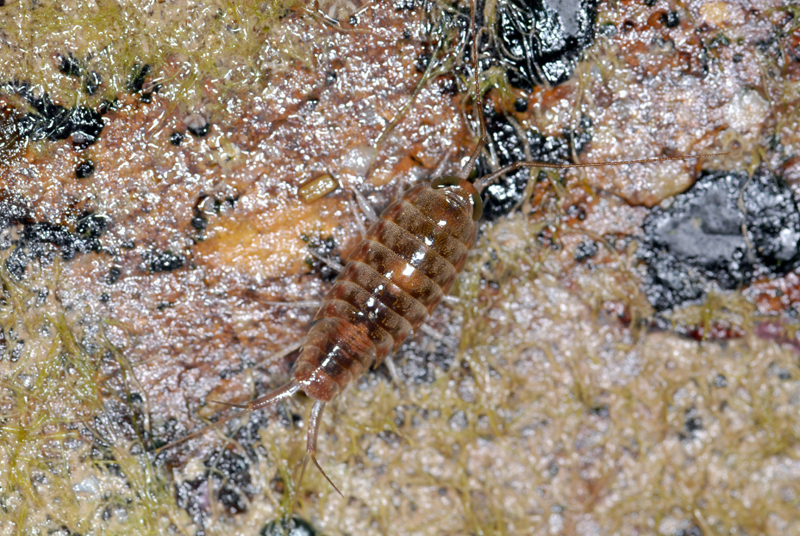 Most chitons found on our shores are tiny ones. 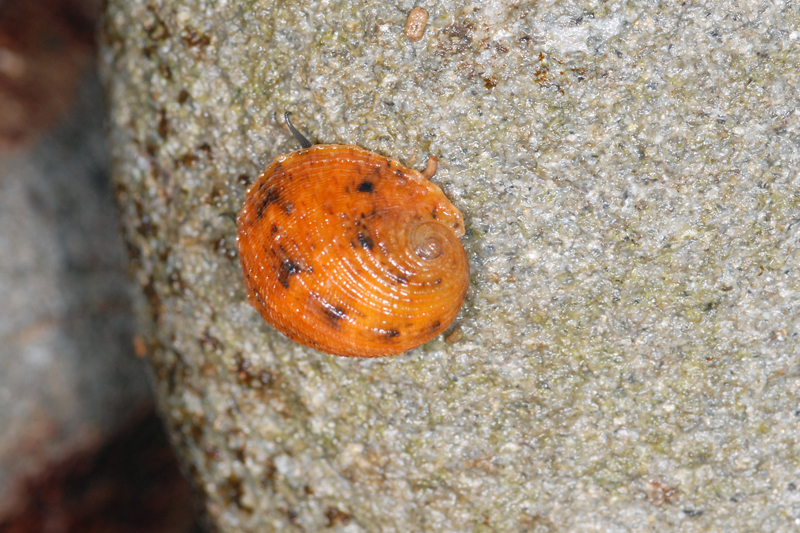 We found this chiton on the boulder that Andy showed us. I noticed this patch with plate-like scales and suspected that it could be a chiton. Jose came and told us it should be a chiton. Now comes the tricky part. 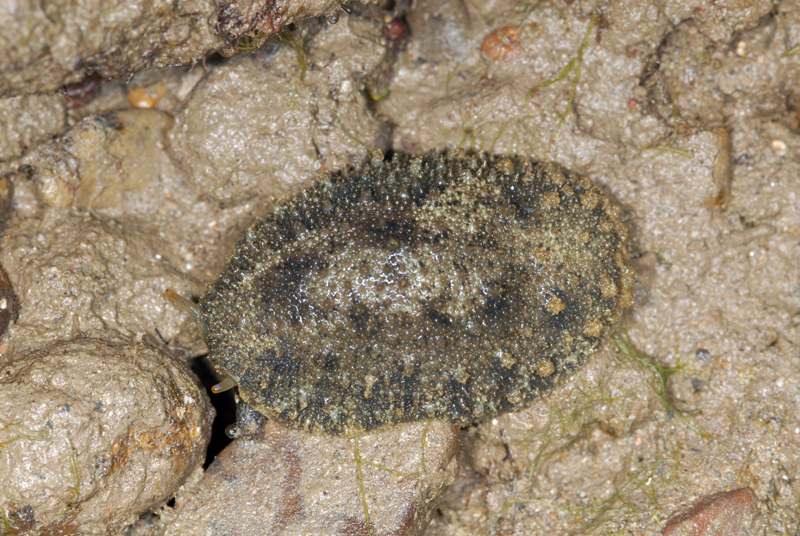 Chitons wedge themselves tightly onto the surface and it is very difficult to remove them. We had no tools with us, but I remembered that I had my swiss knife with me. Tada! So three people standing at the boulder, trying to pry a chiton off. Andy took over the job as I had my complicated camera setup hanging in front of me. Using the blunt side of a knife, Andy find a lose side to insert it into and gently lift the knife up (like how people open oysters). 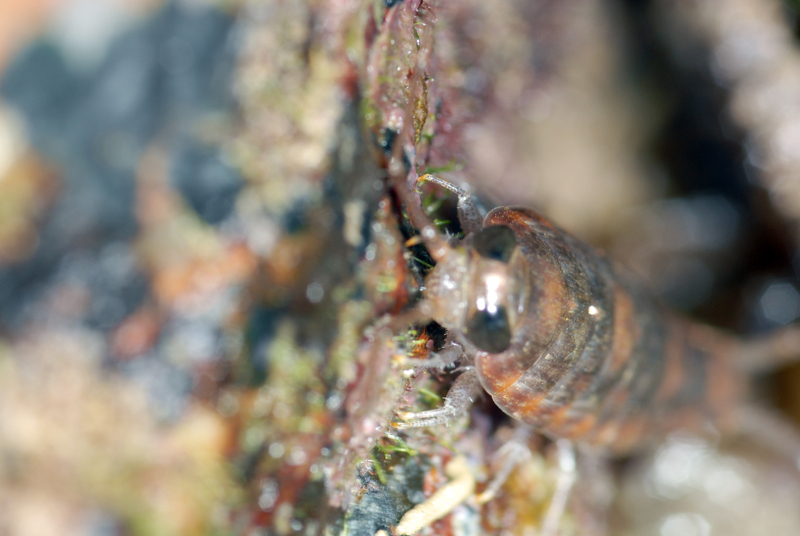 He had to work around the chiton to loosen the suction of the chiton. Jose holds a container below it, waiting for the chiton to drop in. I supplied light for the work to be carried out. I noticed a greenish object with interesting blue lining on the heavily coated with silt surfaces. On close look, it was moving. At first I thought it was some kind of anemone. I used a smaller knife blade, scrape it off the surface and put it in a small container. Then I filled it with some sea water. The sea water washed off the silt and the animal was in a ball shape. Still could not identify it so I left it in my plastic bag. 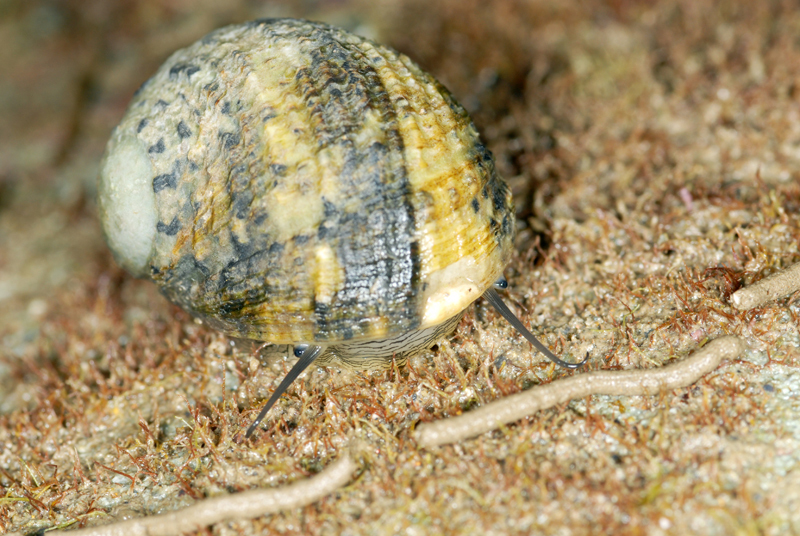 When we all gathered to sort our collections, I noticed that this animal is actually a slug. Ria took a photo of it when she was processing it at home. The actual look of the mysterious animal. On my facebook, Chay Hoon commented at this is actually the emerald stiliger slug (Stiliger smaragdinus). Thank you Chay Hoon for the identification. 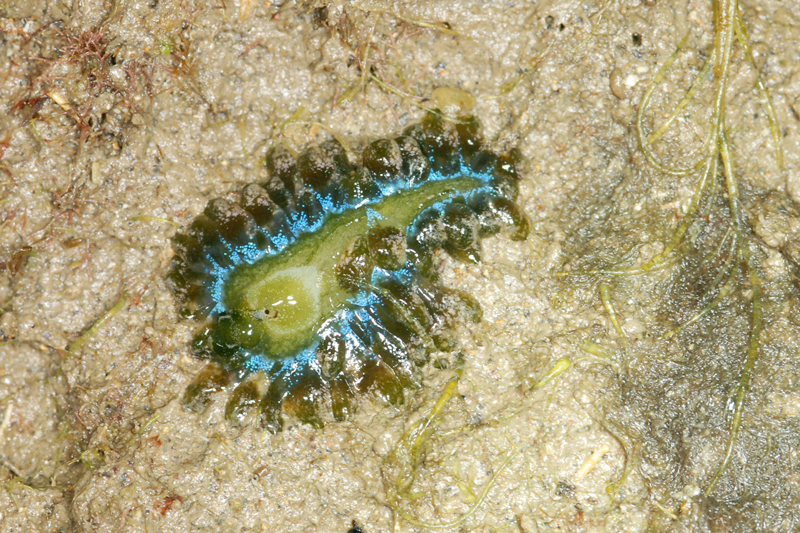 A quick google on this slug tells me that this slug feeds on sea grapes (Caulerpa racemosa) and it retains the colour pigments in the digestive system. That explains for the green in this slug. This part of the shore on Lazarus Island is really rocky and there is a lot of silt being deposited. 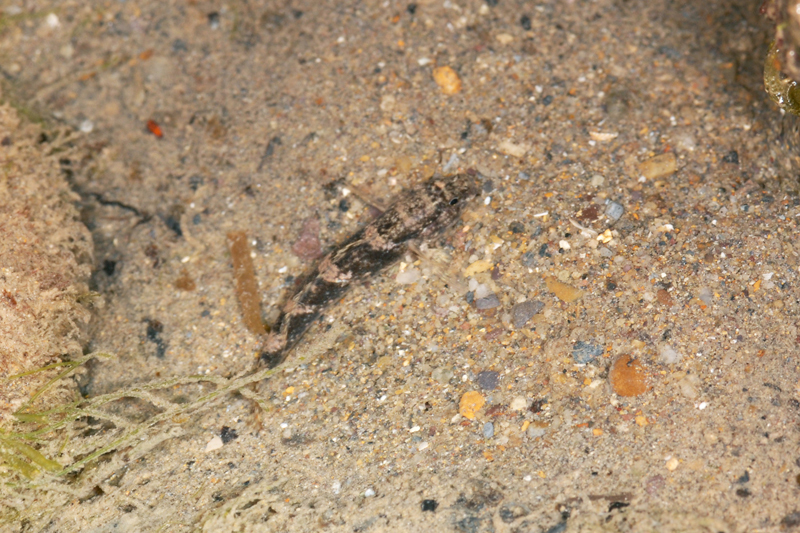 The built up of silt causes the surface to be slippery and muddy to walk on. The free foot reflexology was really good and my feet were very tired when we got back to the rock wall for the climb. There are two ways to get to Lazarus Island. The first method would be taking the ferry service to St. John's Island and walk over using the island link. The second method would be to alight at the Seringat-Kias pontoon by private ferry charter. 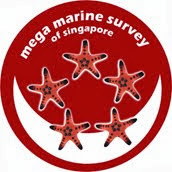 Ria explained to us that Seringat-Kias used to be two separate submerged reefs (Seringat and Kias). Reclamation of these two reefs provided an extension of Lazarus on the western side with a C-shaped 1km artificial lagoon which Ivan and Kok Sheng explored. It's the last season of shore trips before everyone takes a break and some of us gets busy with other work. Tomorrow, we are going to Cyrene reef.